Communication is key, so let Hitec's Telemetry Monitoring System open the door to a whole new world of infomration. Utilizing thier Adaptive Frequency Hopping Spread Spectrum (AFHSS) technology Hitec's Telemetry Monitoring System allows you to monitor a a variety of information on the Aurora 9 screen or on your PC. Knowing more about your aircraft's performance will keep you in charge and improve your flying! 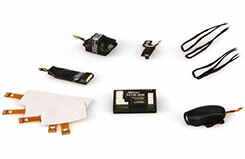 This system is a must-have asset for sport fliers and advanced pilots everywhere. Now you can use the "GPS� satellite positioning system to display interesting data from your model on the transmitter screen. We have always wanted to know information such as the model�s airspeed, altitude, range or distance covered, and now - finally - we can record and display those values. The model�s direction of flight can also be called up using a variety of angle parameters. 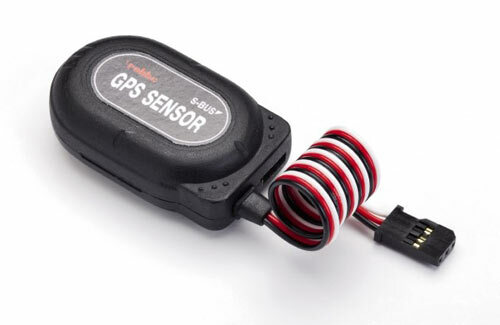 Naturally it is possible to set individual warning thresholds on the GPS unit, as well as display various minimum, maximum and average values. 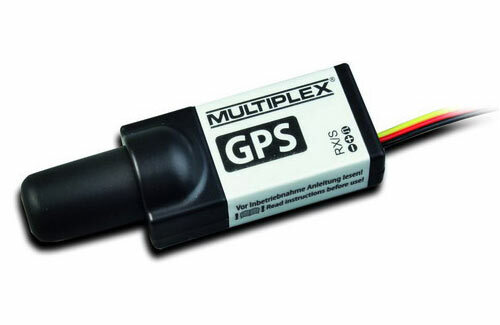 The basic functions of the MULTIPLEX GPS system can be used without further configuration in conjunction with ROYALevo / pro M-LINK transmitters, as well as transmitters fitted with the Telemetry-Display. If you are using a COCKPIT SX M-LINK transmitter, you must first select the Info-field. The unit's power supply is a rechargeable LiPo battery which can be recharged from any 12 V power source using the charge lead supplied in the set. The user himself can update the device himself at any time using the integral USB socket. The sensor configuration process operates in the same manner as the T-18MZ, using the S.BUS socket. 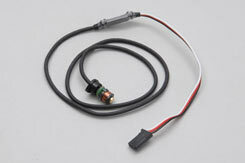 Adapters included in the set can be used to attach the Telemetry-Box to hand-held and tray-mounted transmitters. The Telemetry-Box can pick up signals from all receivers with an integral telemetry transmitter. For example: from R7008SB and R6308SBT receivers. 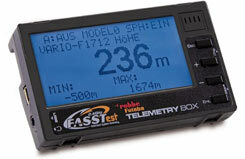 The Telemetry-Box is suitable both for converting existing FASST systems to telemetry (R6308SBT required at the model end). And as a parallel display and output device for caller and co-pilot when used with a FASSTest telemetry system. These data are transmitted to your smart-phone - iPhone or Android - via WLAN. The Wi-Fi Box draws power from the transmitter's Trainer socket. Software (App) for the IPhone or Android is in preparation. 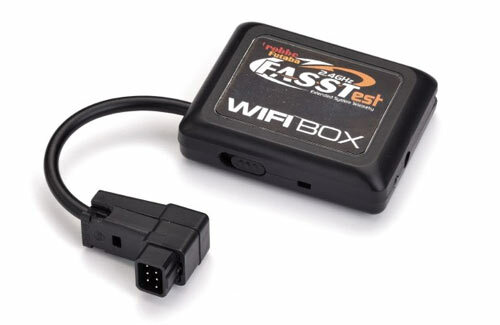 The Wi-Fi-Box is capable of receiving the signals of all receivers with an integral telemetry transmitter. For example, by the R7008SB or R6308SBT receiver. 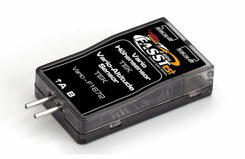 The Box, used in conjunction with a smart-phone, is suitable for upgrading an existing FASST system to telemetry (R6308SBT required at the model end). and also as a parallel display and output device for caller and co-pilot when used with a FASSTest telemetry system. With its small dimensions and a weight of only 5.5 g is is likely that the robbe TEK precision vario and altimeter is currently the world's smallest, lightest and most accurate sensor (with dual TEK sensor). 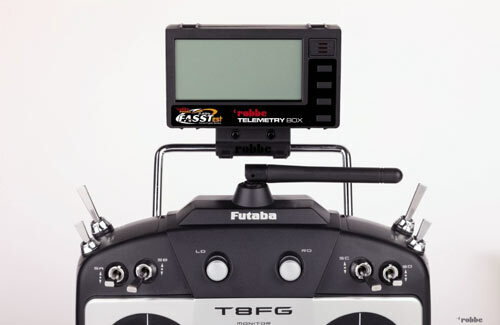 The individual robbe-Futaba sensor ID automatically configures the sequence and display unit when the sensor is registered (to the transmitter or the Telemetry-Box). High sensitivity of 2 cm/s makes it possible to exploit very weak thermal lift. The system indicates even the slightest sign of the model climbing. 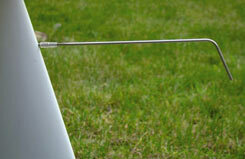 The TEK socket makes it possible to compensate for "stick-generated thermals". The result is that speed changes have hardly any effect on the vario sound and speech output. The second supplementary pressure sensor provides accurate altitude monitoring, in spite of the variometer's TEK compensation, which produces a further improvement in sensitivity. 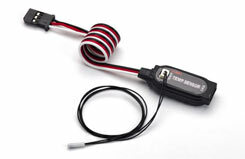 The TEK vario / altimeter is particularly good at rejecting interference from 2.4 GHz telemetry transmitters. 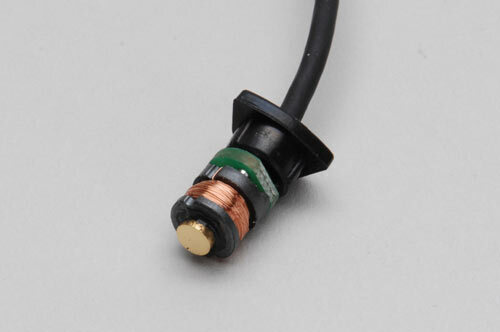 Pressure element mounted on a ceramic substrate for extremely low pressure sensor drift due to temperature and protracted usage. Compact GPS and vario sensor including altitude measurement, for connecting to the S.BUS2 socket of a telemetry receiver. Operating voltage: 3.6 ... 8. 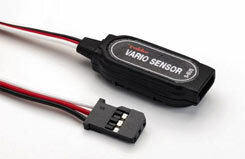 Small, light, low-cost vario / altimeter for the FASSTest telemetry system. 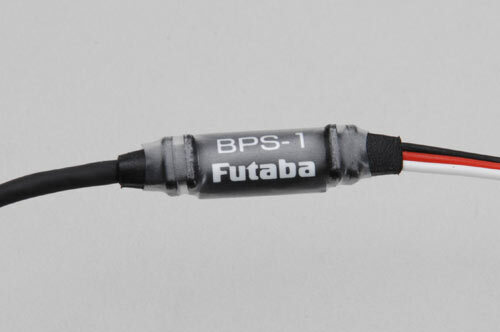 The individual robbe-Futaba sensor ID automatically configures the sequence and display unit when the sensor is registered (to the transmitter or to the Telemetry-Box).